3D printed jewellery for tech loving individuals. 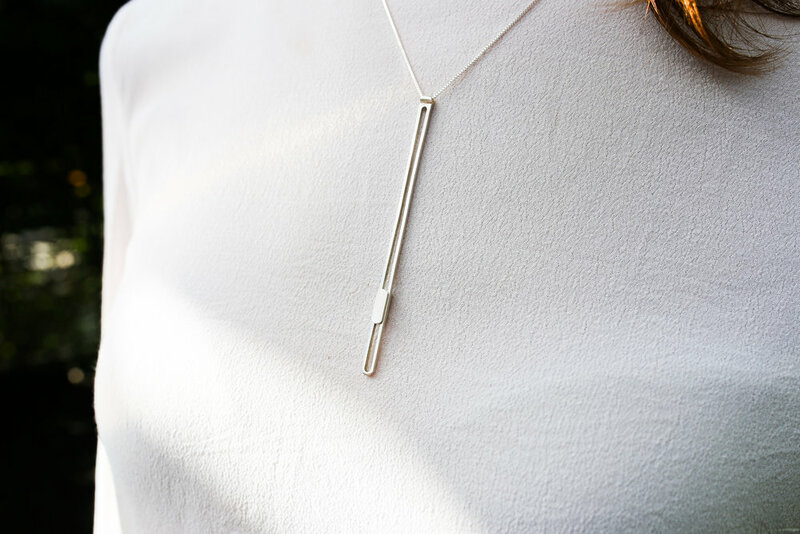 Scroll to your hearts content with this kinetic necklace. Click, zoom, load, drag and drop your new look with the cursor necklaces. Just like carefully coded digital interfaces, HI Jewellery designs have been user tested, iterated and prototyped to pixel perfection to bring you your very own wearable interface. Connect with us! IG is the best place to find out about new designs, 3D printing and HI Jewellery giveaways.